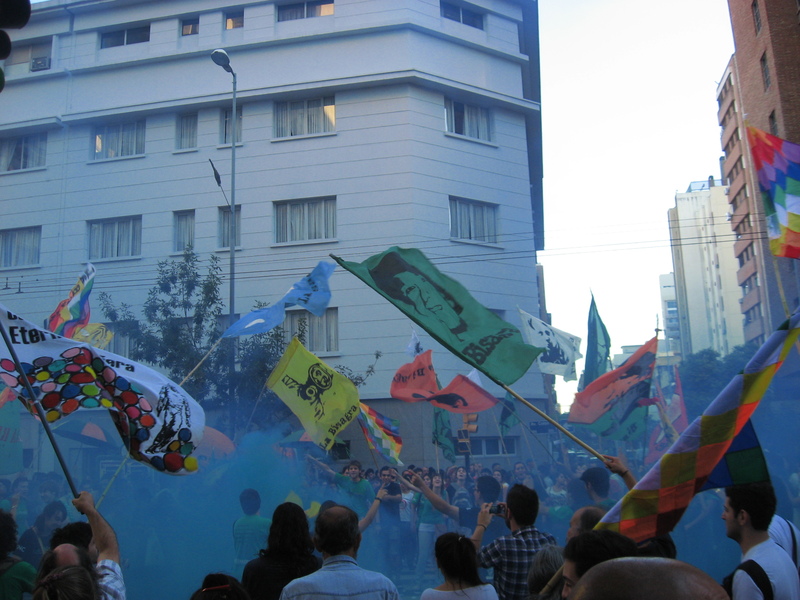 After I wrote my last post, I went downtown with some fellow volunteers to participate in La Marcha, which is a march that happens on March 24 of every year, to commemorate the events that happened during the dictatorship here in Argentina in the 1970s. 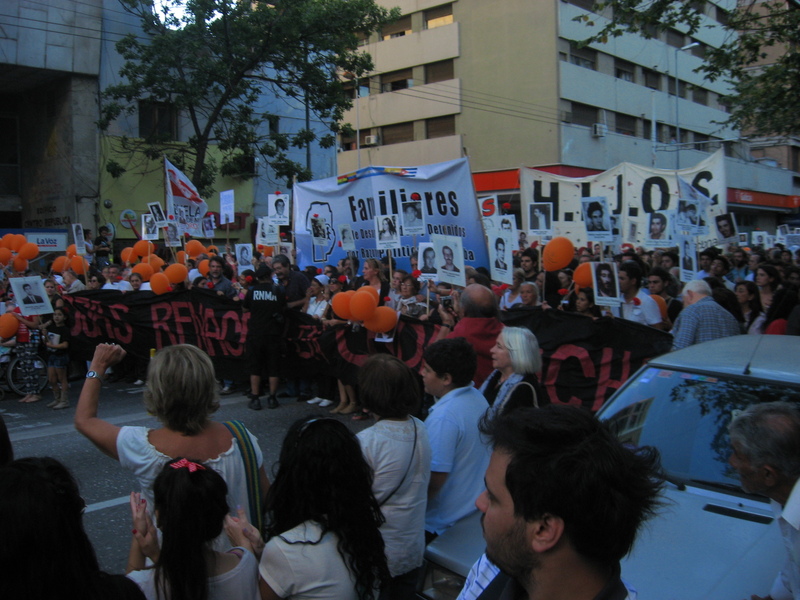 Many people were kidnapped and killed. In Cordoba, and I think many other cities across Argentina, thousands gather downtown with flags and costumes, and march down the streets, singing, chanting, and dancing. The grandmothers of the lost people lead the march, and not too far behind them are the children of the lost people, who march with signs of pictures of their missing loved ones. It was quite a powerful experience, and very emotional. At the end of the march there was a concert where people gave speeches, sung the national anthem, and then a band played. Monday I finally got to go to my placement. To be honest, at first I was a little disappointed. It turns out that what Projects Abroad advertises on their website as an Organic Farming Project, is actually quite different than what it actually says on the website. The biggest difference is that there is no expert teaching me what to do, but rather, a volunteer who has been there for three months, and leaves next week. She told me that she was disappointed with the project too, but it seems as if she has made the best of the situation. And, I am trying to stay positive, and get as much as I can from the experience. I work at two gardens. One is behind an orphanage, and the other behind a daycare. The first one has tomato plants, potato plants, bean plants, cucumber plants, and an Argentine kind of pepper plant, but that´s it (and the tomato plant is the only one that is big enough to have fruit). I was supposed to be able to promote the garden and sell the produce to the community, but that´s definitely not what I will be doing. For this garden, I am to maintain it by watering and weeding the area, and try to grow new plants. I plan on sprouting some avocado seeds, for example, and perhaps even get a lemon tree started. But, neither of us know how to do this, so it´ll just be trial and error. We´ll see. 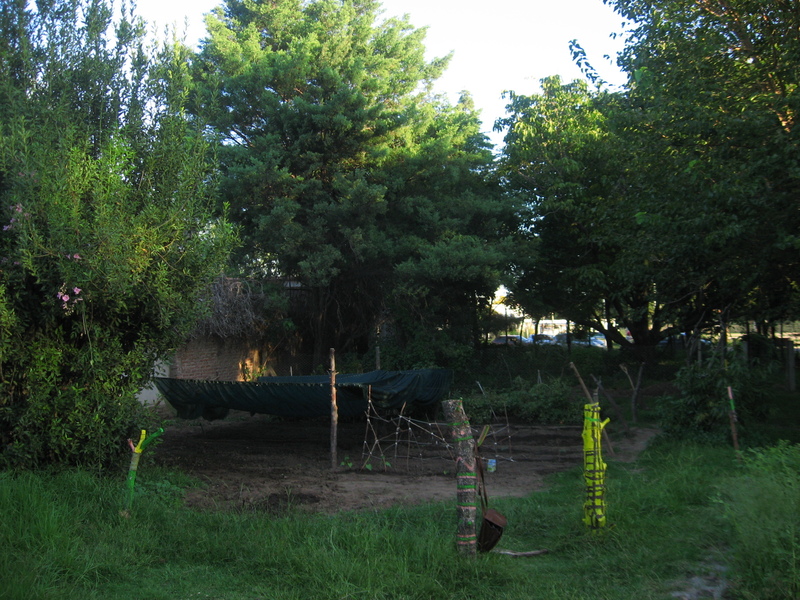 I also suggested to my co-worker Ashley, that we write a manual about the garden, so future volunteers can learn from it (seeing that there isn´t anyone around to teach new volunteers, and Ashely had a lot of failed experiments over the past three months that others can learn from). 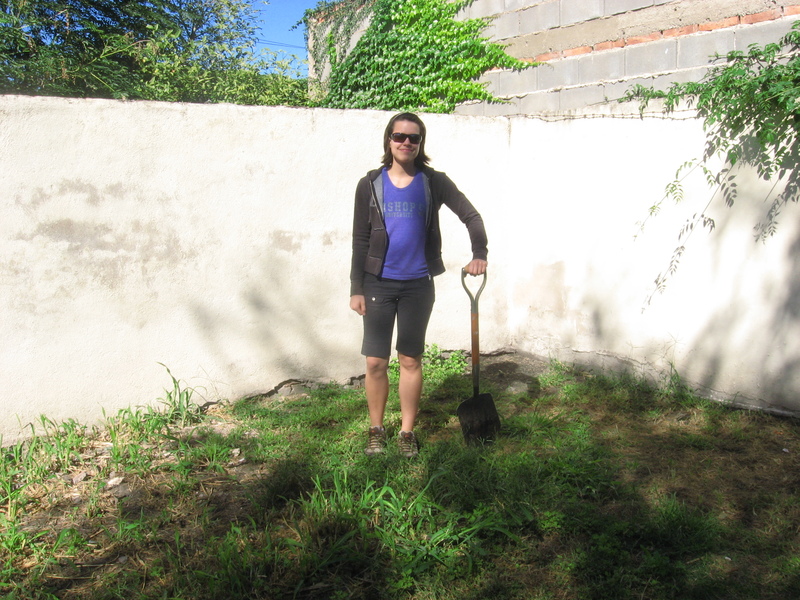 At the second garden, well it isn´t even a garden yet. Ashley and I are making it from scratch by digging up the grass. We started that this morning, and had to pull up many rocks, tiles, and lots of garbage, that have been sitting in the earth for many years. By the end of my time here, hopefully this plot of land will ressemble a garden. And, here is the plot of land that will soon be a garden. I am going to Buenos Aires this weekend for 5 days with my friend Alicia. I am very excited to see the capital! You have a great, positive attitude! If you need any editing services for the manual, you know I can help (unless it’s in Spanish!). Enjoy BA. Love you lots.